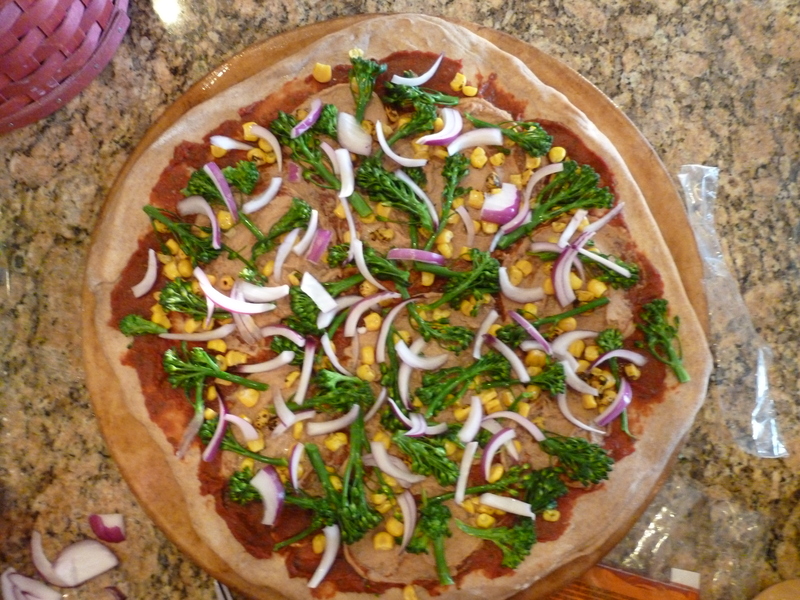 Vegan two cheese pizza: Parmesan Spread and Creamy White Cheese with broccolini, roasted corn, sun-dried tomatoes, and red onion. No Daiya, Teese, or added oils here! 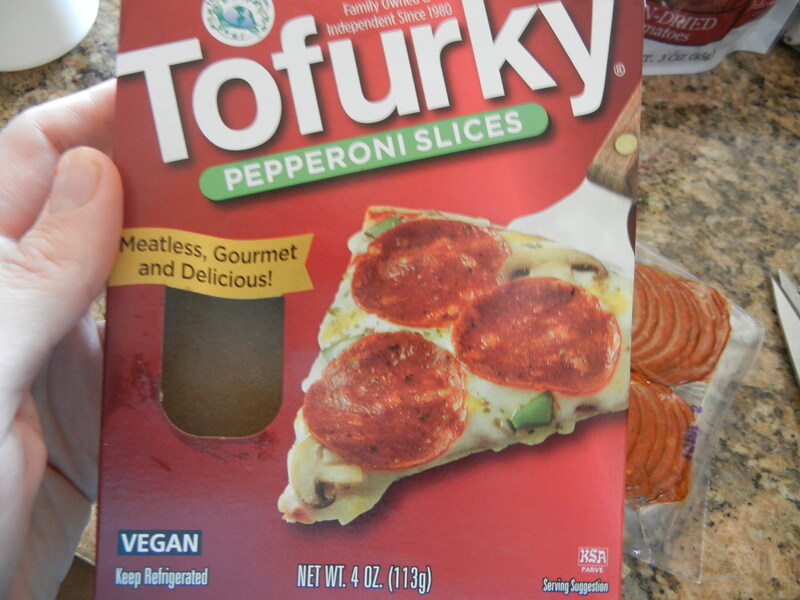 I really wanted to make something extraordinary for Vegan Pizza Day… Generally when I make pizza, it’s on a pita, doesn’t have any cheese, and is really just a quick, easy meal for a weeknight. So I thought I’d try out a few homemade cheeses for this one. 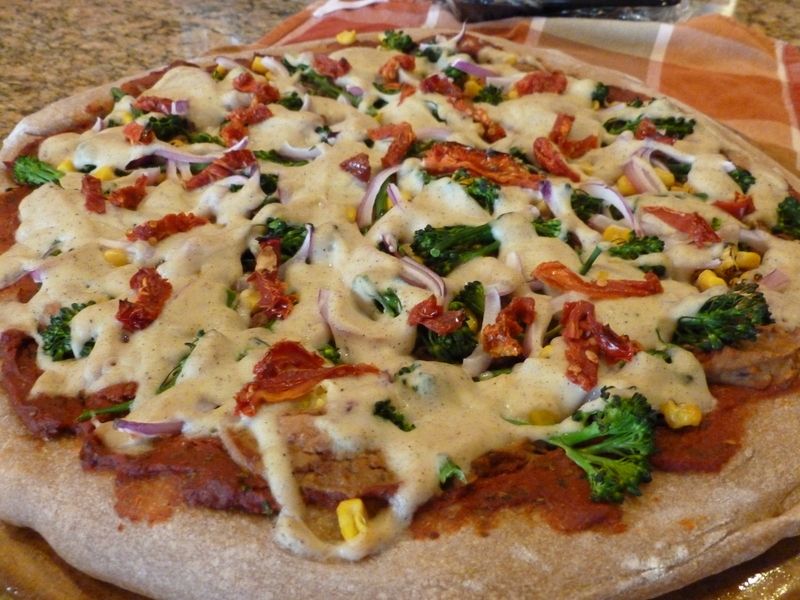 I have to say, it makes this pizza pretty rich and filling, and I almost think I should have made two smaller pizzas… one with the cheeses and the other with the veggies. Less is more. 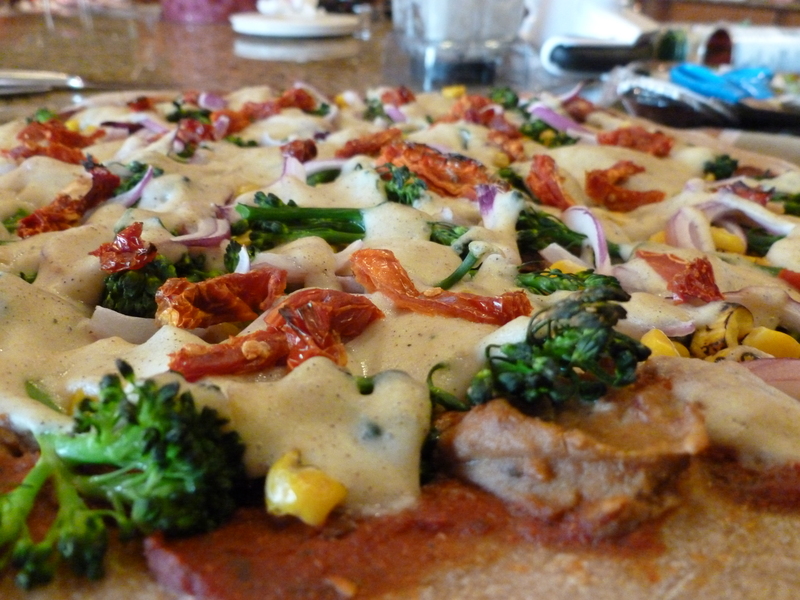 The veggie combination is inspired by California Pizza Kitchen’s Vegetarian with Japanese Eggplant Pizza. I think omitting the eggplant is the only change I made. 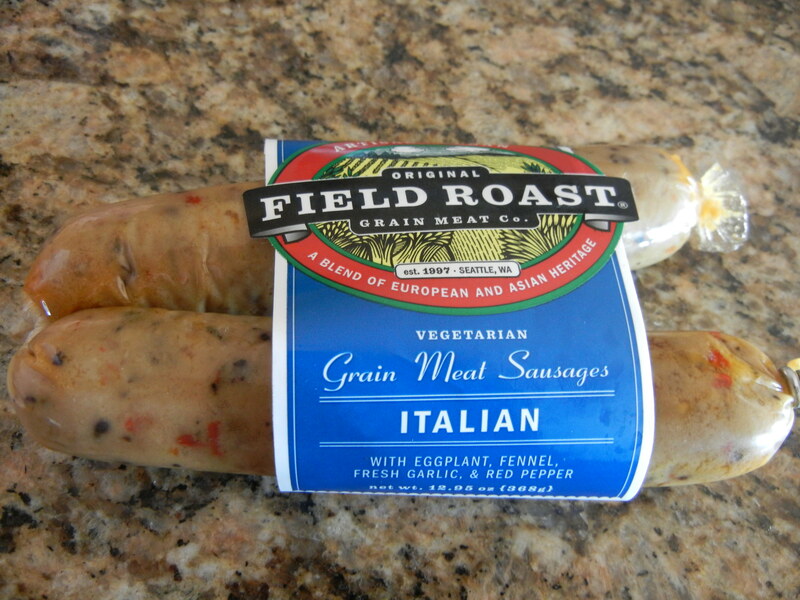 But seriously, these veggies don’t need cheese to be delicious… next time I will use them on their own! 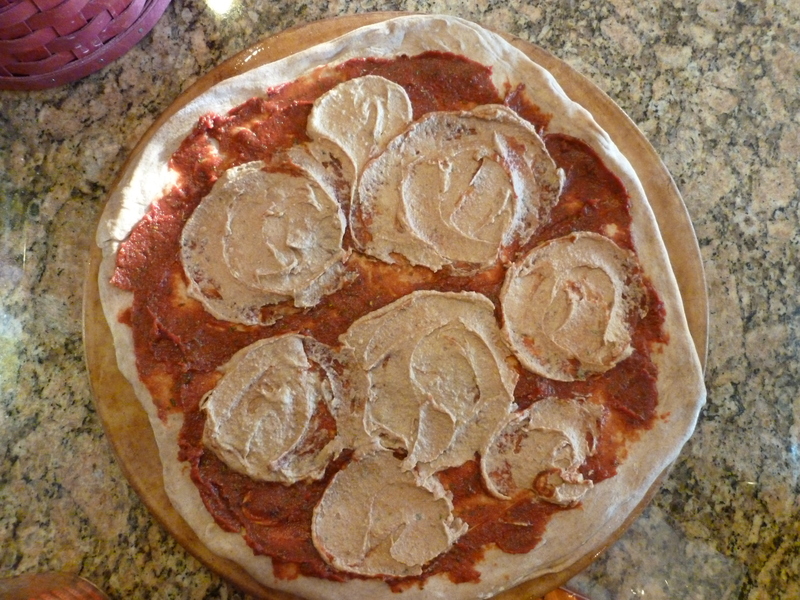 Trader Joe’s Pizza Dough. Made with a mix of whole wheat and regular flour. 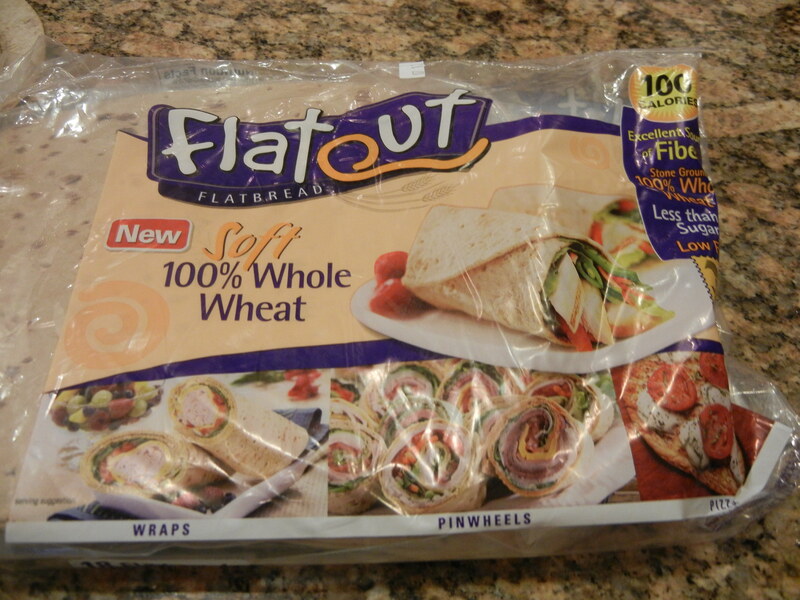 I wish it were 100% whole wheat, but hey… it’s delicious, quick, and cheap ($1.29). 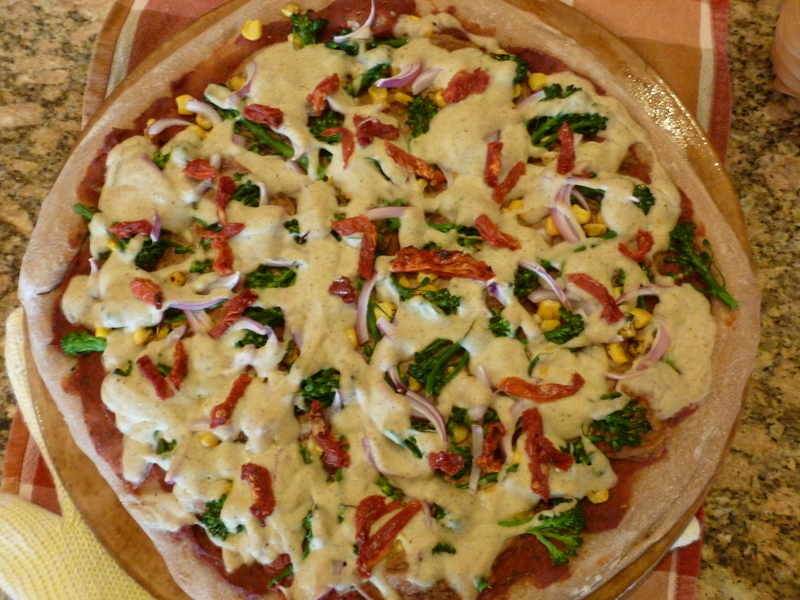 3 ingredient pizza sauce…. does water count? I don’t need a fancy sauce. 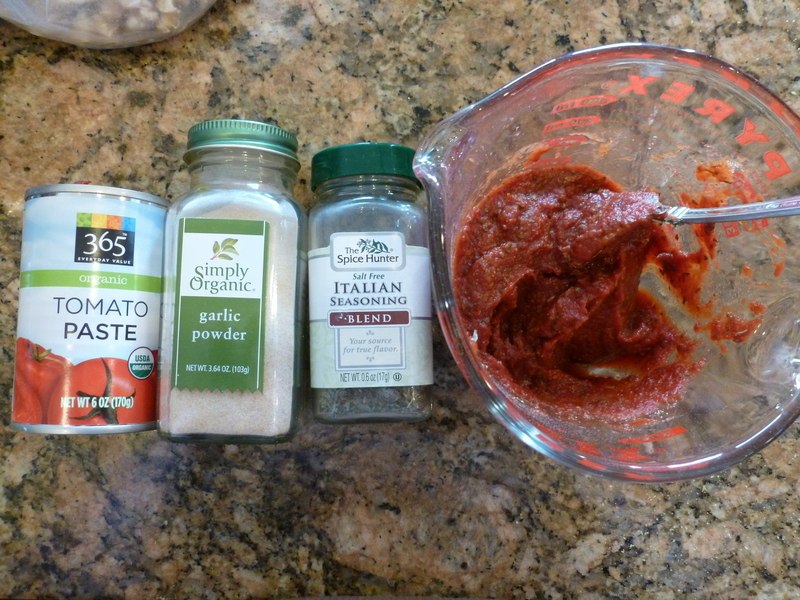 I added about 2 Tbsp Italian seasoning, 1 Tbsp garlic powder, and water to a can of tomato paste… and really, that’s all it needed! For this pizza, the sauce is like the skinny models on the runway. They can’t be too pretty or voluptuous or they’ll distract people’s attention from the clothes. Same thing here. I just wanted the other components to shine. I’m not sure the name does it justice. This stuff tastes like parmesan. It was inspired by a bunch of recipes I found online and this one in particular that made a spread out of the sprinkle stuff. I made mine oil-free by using cannellini beans. These beans are awesome… they are light, creamy, and don’t have a strong flavor, so they were perfect for mixing with this parmesan. First make some vegan parmesan. My new favorite way of making it is using a cheese grater, another great tip from Cathy Fisher of StraightUpFood.com. 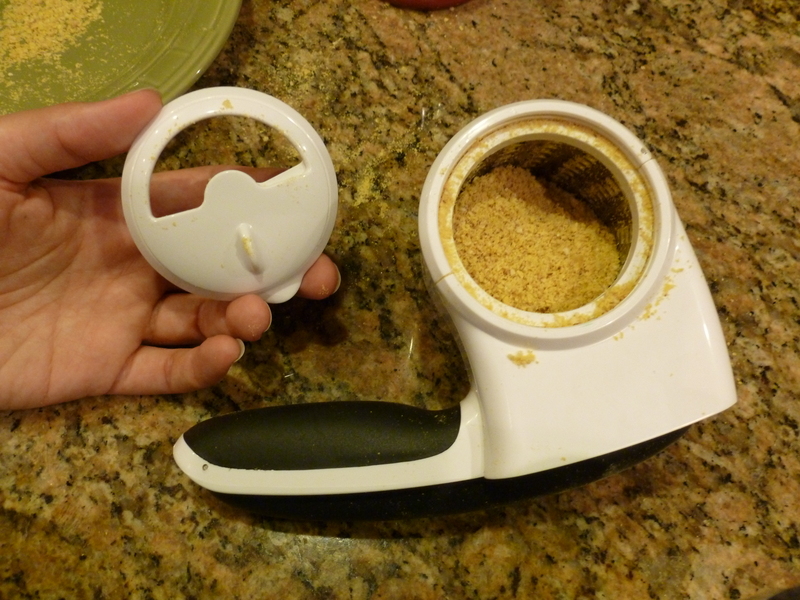 First, use the grater to grind the nuts. Then, in the little barrel where the grated nuts are, mix in the nutritional yeast and salt. This is one recipe where I would not leave out the salt… parmesan is a particularly salty food, so without it, I just don’t think it tastes right. This grater is great because it has a little adjustable window. You can reduce the window to a crevice and it’s perfect for sprinkling parmesan at the table! You can mix this up in a blender just as easily. Just make sure you get the nuts chopped up pretty fine. 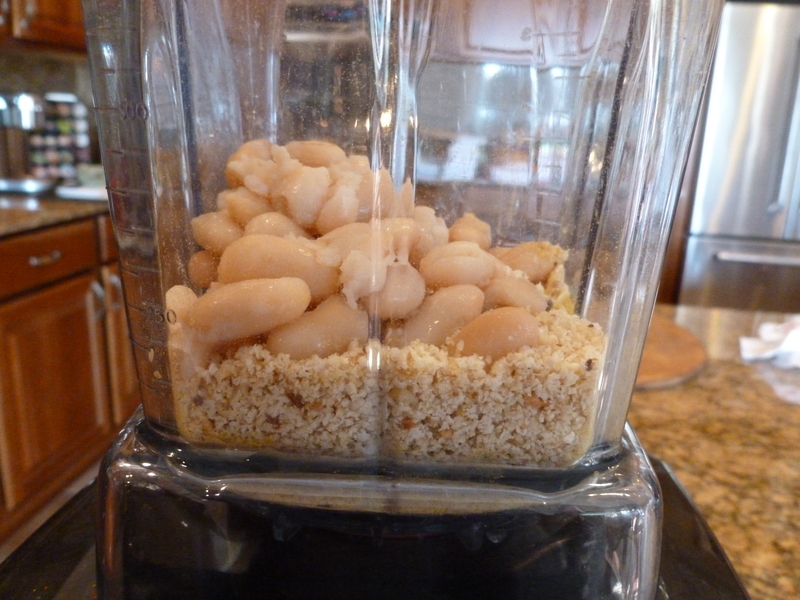 Blend parmesan and cannellini beans in a blender with 1/4 cup water. If the mixture is not moving, continue to add 1 Tbsp of water at a time, scraping down the sides of the blender, until you get a consistency a bit thicker than a hummus but not as thick as a paste. This sauce is so creamy and based on my go-to mac and cheese sauce. 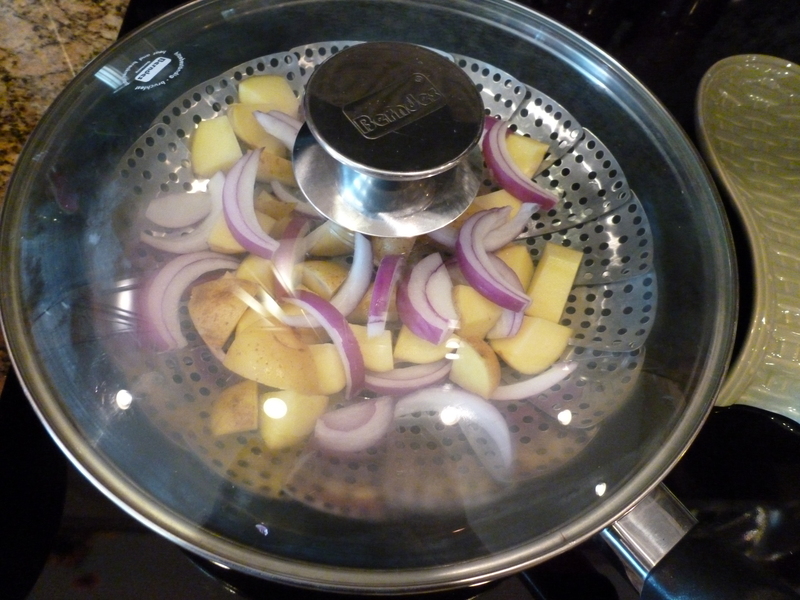 Chop the following veggies and steam in a steamer basket in a covered saucepan or pot (filled with about 1-2 inches of water) on med-high heat, until veggies are soft. When steamed veggies are soft, add to blender and process. If mixture isn’t moving/gets stuck, then add 1 Tbsp of water at a time till mixture gets going. 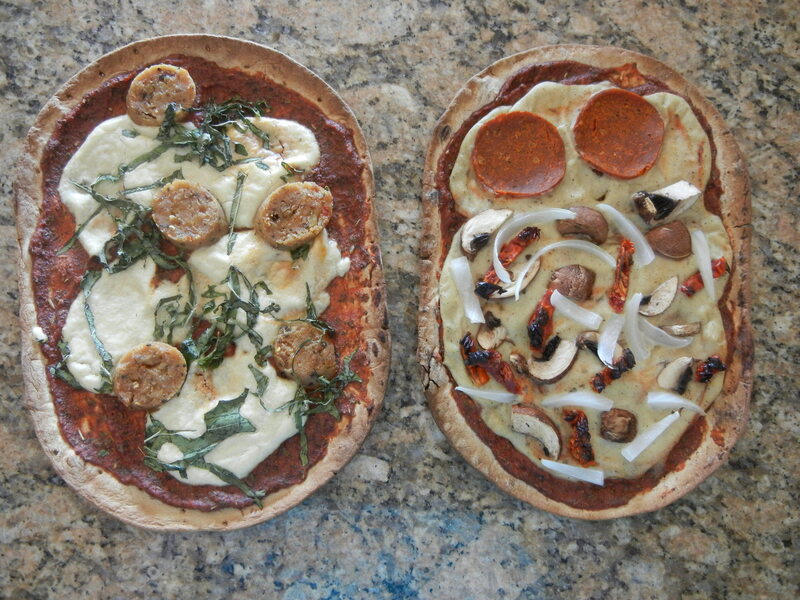 The goal is to add as little water as possible so you aren’t pouring soup on your pizza! I put most of the veggies underneath the cheese and they kind of got lost, so that’s why I recommend putting most of them on top.